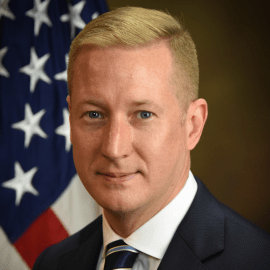 As the DAAG, he manages the National Security Division’s efforts to combat national security threats to the private sector from computer intrusions and attacks, economic espionage, proliferation, and through foreign investment. Mr. Hickey also represents the DOJ on interagency policy committees concerning cybersecurity. From 2013 to 2015, he was the Acting Deputy Chief for Cyber in the Counterintelligence and Export Control Section of the NSD, where he supervised criminal investigations of state actors for malicious cyber activity affecting the private sector and critical infrastructure. Previously, Mr. Hickey was a federal prosecutor and served as the Deputy Chief of Appeals in the Southern District of New York. There he focused on national security cases involving terrorism and international drug and arms trafficking. Prior to joining DOJ in 2007, Mr. Hickey clerked for the Hon. Jed S. Rakoff of the U.S. District Court for the Southern District of New York, and the Hon. Robert A. Katzmann of the U.S. Court of Appeals for the Second Circuit. Mr. Hickey also practiced civil litigation and white collar defense in Manhattan. He is a graduate of Harvard College and Yale Law School.